OpenSUSE Leap 15 DVD (64-Bit) | Linux DVD Shop - UK Linux Shop supplying Linux on CD, DVD and USB with Free UK Delivery, 24Hr Dispatch. openSUSE Leap 15 - Leap is a new edition from the openSUSE project using packages from SUSE Linux Enterprise. The first ever hybrid Linux distribution it features an easy-to-install Linux operating system that lets you browse the web, send e-mail, chat with friends, organise digital photos, play movies and songs, and create documents and spreadsheets. You can even use it to host a Web site or blog, create a home network and develop your own applications. Whether you're new to Linux or you use it daily, OpenSUSE Leap delivers all the features you need most for home computing and networking. It also includes more than 1,000 of the world's leading open source applications. From established solutions like Firefox and LibreOffice to new technologies like Beagle and Xen, these applications add real value to your PC experience. You simply boot the DVD, run the installation program and start using Linux for everything you do. Choose from one of the many desktops including GNOME and KDE and XFCE or customize and adapt your entire computing environment. It's really is that easy. Bonding community development and enterprise reliability provides more cohesion for the project and its contributor’s maintenance updates. 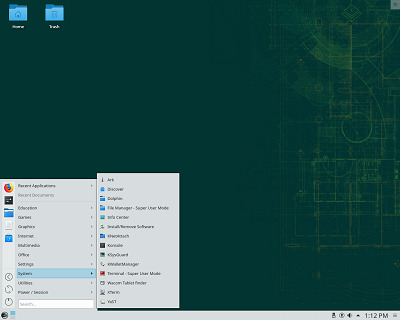 openSUSE Leap will benefit from the enterprise maintenance effort and will have some of the same packages and updates as SLE, which is different from previous openSUSE versions that created separate maintenance streams.